Ordered Penne Pasta. Below average taste. written by Nauman Afzal on April 3, 2018, 4:07 a.m.
written by Afroz Tajammal on Aug. 2, 2017, 5:43 p.m.
very good PIZZA..dough was very soft!! great topping!! a must try..
written by Umer Farooq on July 28, 2017, 2:01 a.m.
Pizza can best be described as an eternal love. We have yet to come across someone who doesn’t adore pizza. Everyone will agree that it is a magical moment when the timer turns off, and a piping hot pizza is taken out of the oven. 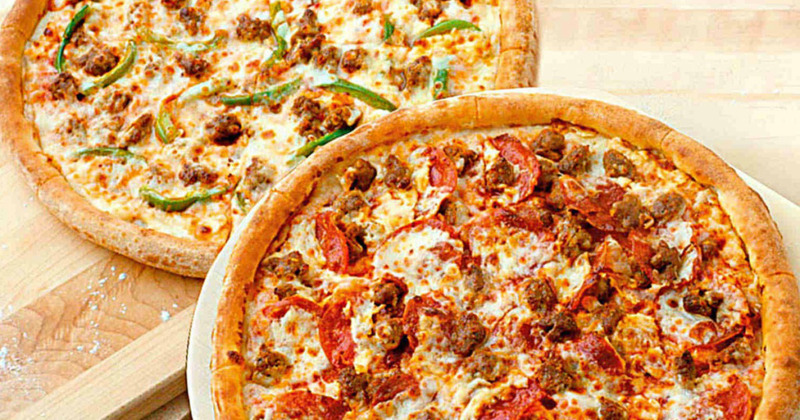 As the aroma of freshly baked pizza spreads everywhere, it feels like love is in the air. The aromatic goodness of melted mozzarella takes your mind on a beautiful journey to a place where there is just happiness (and pizza of course). Now you can’t wait to get your hands on that perfect little sizzling slice that is oozing with cheese and topped with fresh basil, barbeque chicken, mushrooms, onions, olives and the most beautiful tomato sauce that your taste buds have ever experienced. The purpose of painting this scenario is not to make you miserable because we know you don’t have time to do all this cooking. We just wanted to introduce you to a pizza heaven, where all your pizza dreams will come true. We are talking about the one and only, Butter Crust Pizza place. What sets apart the pizzas at Butter Crust is that it is made with a rich and buttery crust, which is crispy and golden on the outside, and soft and fluffy on the inside. These will be the best deep dish pizzas that you will ever devour. The chicken tikka pizza is topped with loads of tenderized marinated chicken boti in chicken tikka masala, and tons of mozzarella. Chicken supreme is laden with the freshest tomatoes, olives, bell peppers, mushrooms, and chicken sausages. Another bomb flavour available at Butter Crust is their famous butter crust special delight which is topped with beef pepperoni, sausages, BBQ chicken, tomatoes, onions, mushrooms, olives and the very special white sauce. If you are a vegetarian, then you can try their veggie lover pizza. Other flavours on the menu are the chicken fajita, super supreme, mexicano, pepperoni, hot & spicy and several others. The pastas at Butter Crust Pizza are also divine with special homemade recipes. Try the delicious penne pasta, which is baked with boneless chicken, mushrooms, herbs and mozzarella cheese. Or the equally delightful cheese macaroni with a creamy white sauce. Yes, you read it right, and for that, you need Cheetay in your life. So quickly visit Cheetay’s website or download the Cheetay app. Then select your favourite pizza or pasta and treat yourself. Our Cheetahs will reach you in the blink of an eye.